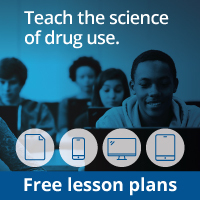 Home » Publications » Cocaine » How is cutting-edge science helping us better understand addiction? Two cutting-edge areas of science, genetics and brain imaging, are significantly advancing our understanding of cocaine addiction. fMRI technologies have also revealed that abstinence from cocaine has important, restorative effects on the brain. 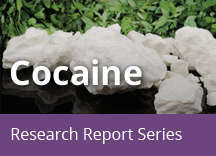 Although current cocaine users demonstrated reduced brain activity in a brain circuit that mediates response inhibition during a motor control task, individuals who had attained abstinence for an average of 8 months showed similar patterns of activation and levels of performance to those who had never used the drug.75 The results suggest that abstinence helps restore the functioning of this brain circuit. Researchers are engaged in several large-scale, collaborative projects to map the human connectome, which is the brain’s network of interconnected circuits. For example, the National Institutes of Health supports the Human Connectome Project to generate maps of the developing, adult, and aging brain. By having a map of the typical brain, scientists will further understand how neural functioning differs in behavioral disorders—knowledge that will drive improved diagnostics and treatments.